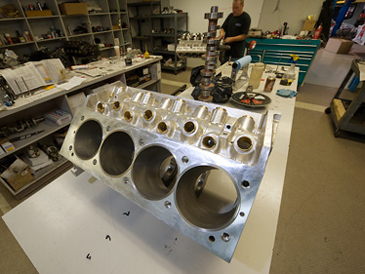 Holbrook Racing Engines offers a wide variety of IN-HOUSE machine shop services for all types of Motors! 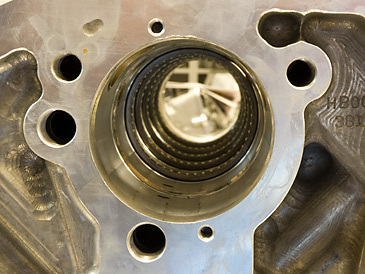 If your engine needs freshening up, Holbrook has the machine shop equipment to get your motor performing at its best. 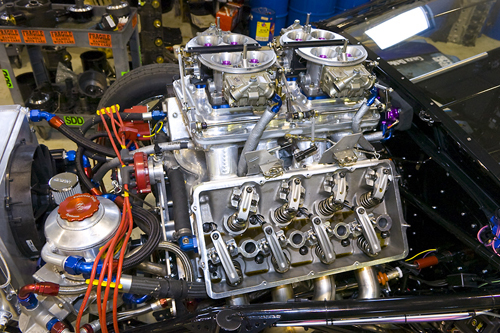 Whether you have a 5.0L, 283, or a flat-head V8 classic, we can help all types of motors to reach its’ potential. 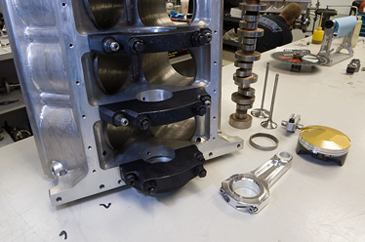 Holbrook also specializes in deck blocks, fly cutting pistons, lifter bushing installation, cylinder head repair, porting, performance valve jobs and boring for new pistons, plus honing with torque plates. 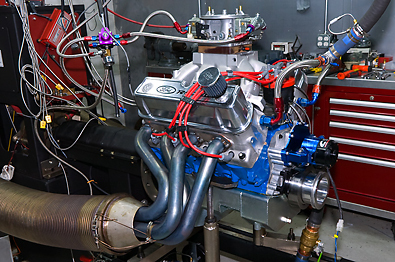 For maximum horsepower, peak performance, and lower E.T.’s – Holbrook Racing Engines has the knowledge and skill to give you the machine work you want. 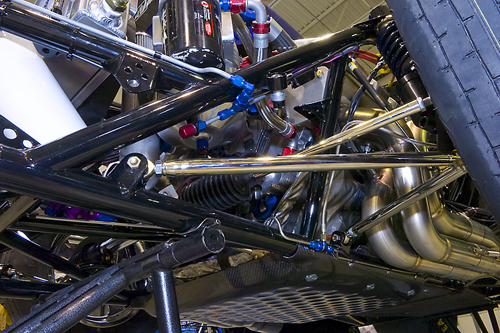 We have many years experience and offer the most pro-racing, quality service around. You too can have Holbrook horsepower! ring seal with the least amount of friction. We can fly cut your pistons. 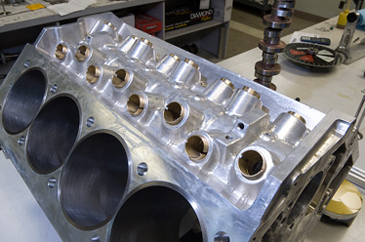 We will CNC machine your block and install bronze lifter bushings to your exact specifications.